The sunrise was pretty awesome on my bike ride this morning. I love how crisp the early mornings are, and how little traffic there is! 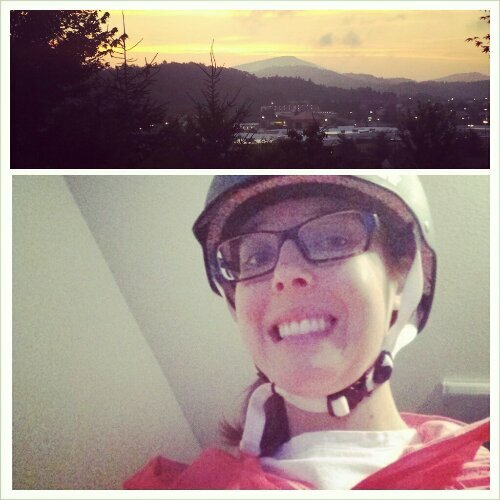 I wore my mint pants, a t-shirt and sweater, my pink jacket, helmet, leg warmers and gloves. On the way home I wore the same as well. I had a 13 hour day at work today and I was totally beat at the end of it. 13 hurt way more than 12 does!